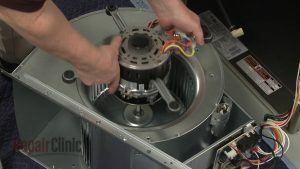 Everyone involved in HVAC works with electric motors almost every day. Whether designing new products, specifying equipment, installing, maintaining or repairing a variety of heating, ventilation or cooling products, an electric motor and its needs are regularly the center of attraction. Even at home, the ubiquitous electric motor in indispensable. What cause Electric motors to fail? Contamination and moisture can lead to winding failures. Often times, this is because they are not stored in ambient areas, the area where electric motors are operating must have a proper cooling system and a ventilation system should be there in case the cooling system stops working. Overheating is another issue that can cause a motor to fail. The life of the insulation in a standard electric motor is based on the temperature at which the motor operates. What is the most common cause of failure? The most common, and arguably the most difficult to overcome, is the low resistance. Low resistance is caused by the degradation of the insulation of the windings due to conditions such as overheating, corrosion, or physical damage.